Good morning from Jerusalem and good night to my friends back in the United States. I’m sitting on my balcony in Jerusalem, watching all of the hustle and bustle as people get their shopping in before the start of Shabbat. I wanted to give you all an update on how things are. Things are pretty good and I am so grateful to be here with Ariel and Julie, two other RRC students. And to study with Rabbinical students from other colleges, some I’ve known for a while and others are new friends. I’m studying at the Conservative Yeshiva, in hindsight I’m not sure it is the best fit for me but I’m not sure where a good fit would be. With that said the Yeshiva is great and the faculty really seems to care about how we are doing and they care about the learning. 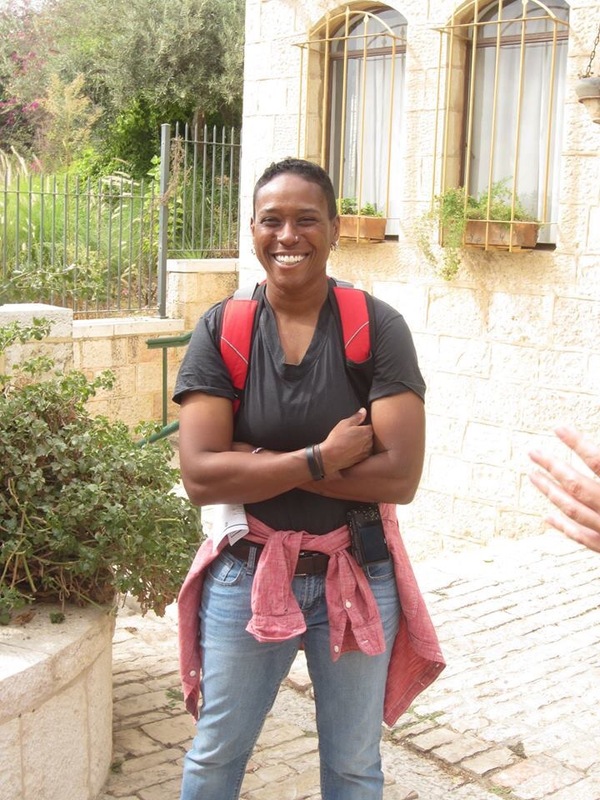 One of the challenges I’ve been having while living in Jerusalem is the issue of Gender. Religious expression is very gendered in Jerusalem. Men dress one way, women another and I don’t fit into either category neatly. Although my religious expression in Jerusalem would be defined as masculine or male. I rarely see women wearing kippot and when I do it’s at the Conservative Yeshiva or a progressive synagogue. Women do cover their heads but not by wearing kippot. I am very secure in my womanhood and don’t want to be a man but it’s made me wonder about issues of gender for Israelis who grow up here. What happens if you’re a women, queer or straight that wants to wear a kippot, Tzizit, pants and a tallit? Does one stop being religious? Move to Tel Aviv? Or some other option? These are just some of the thoughts rolling around in my mind. Please discuss if you feel so inclined. On another note I have been playing a lot of guitar and tomorrow for the first time I will try out leading Shabbat morning services with a guitar. Wish me luck and so grateful to be leading with Ariel and Julie. Trying to make my corner of the world a little bit better, starting with myself. The Best Online Lessons On Guitar, Bass, Piano, Drums & More!